Available for Men and Women as t-shirts, hoodies, and long-sleeve shirts. Secret Squirrel is a creation of Hanna Barbera, a classic 'toon that ran in the 1960's. It is still celebrated by many fans today. 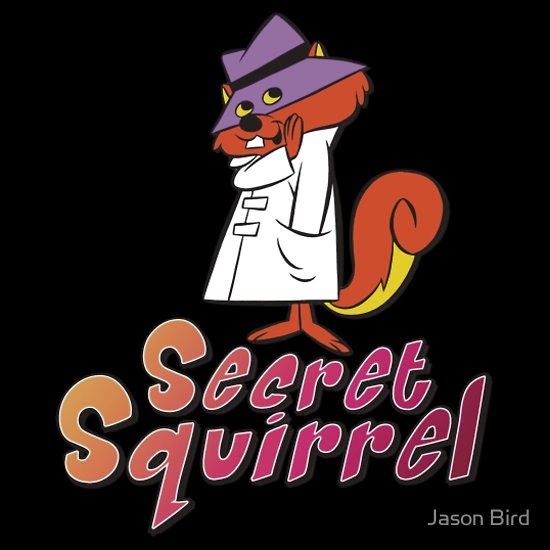 If you haven't checked out the Super Secret Squirrel Cartoon, head to YouTube stat!